I haven’t gone as far as plastering all my walls with them yet, but I can feel a strong urge to do just that coming on even now as I’m writing this. Pretty fonts… Sleek frames… Getting a different dose of inspiration every time I carry a laundry basket from one room to another… Pure bliss! There used to be a particular category of inspirational quotes that would totally ruin my inspiration-seeking sessions. It was quotes targeted at people dealing with anxiety that tell you to “face your fears.” Instead of inspiring me, these quotes would a) totally deflate me and b) totally piss me off. Seeing one of these quotes in my Pinterest feed would result in me whispering a quiet “f*ck you” at my phone from where I fantasized my response to the quote would be magically transported to whatever monster had dared post such nonsense on the internet. Double f*ck you if the quote also included the words “bravery” or “courage”. For even though I didn’t know what exactly was blocking me or what I was lacking, I knew it wasn’t bravery or courage. Wasn’t I brave for just getting out of bed in the morning (most days anyway) when each today would feel like worse torture than the yesterday before it? “So f*ck you for telling me to do even more than what I’m already enduring,” I would angrily rant at the quote poster I was picturing in my mind. Of course that wasn’t the only thing I was oblivious to those days. That was when everything was enveloped in darkness. That was when I was drowning in depression and anxiety. These days, things are looking much brighter. Because now I’m ready for those quotes. Because now they inspire me. Because I figured out what I was actually lacking. And I got myself some of it. Wanna know what it was? Well, it wasn’t bravery or courage. What I was actually lacking was strength and motivation. And once I found those two things, facing my fears wasn’t just one more thing I had to endure anymore. It was something to look forward to. It was something to get excited about. This may sound super simple at first glance, but let me assure you that getting to this point was not easy. To be honest, it took me forever and a day to figure out how to get from “f*ck you fear facing” to “excited about fear facing”. So assuming you, dear reader, are also dealing with anxiety, let me share with you more details about the two reasons I was having a hard time facing my fears just in case this is something you can relate to as well. The first reason I was having a hard time facing my fears was that I didn’t have the physical or mental strength to do it effectively. Dealing with anxiety is not a walk in the park. It’s hard and scary and stressful. It’s often preceded by years of enduring toxic environments and dysfuntional relationships. It’s often accompanied with depression. It’s exhausting. When my anxiety progressed to the point where I was feeling anxious literally 24/7 and I didn’t even know why I was anxious anymore, I was in no condition to “face my fears”. Hell, I didn’t even know what my fears were. Everything? Life? I did try facing “everything” for a long time. I would go about doing everything exactly the same as I always had. Facing life as it came. Enduring. Not avoiding. Pushing through. But it didn’t help. My anxiety didn’t improve. If anything, it kept getting worse. What finally got me out of the 24/7 dread was not facing more fears, but doing the exact opposite. Yes, dear reader. I did what they tell you not to do. I started avoiding. I literally cut back on as many activities as I could. I started saying no to anything that wasn’t absolutely essential. I went to work and did what I needed to for my kids and that was it. I stopped doing everything that had the least bit of potential for stressing me out and that I didn’t absolutely have to do. I got as much sleep as I possibly could. I spent many Saturdays staring at the ceiling in a dark room. I exercised every day. In other words, I focused on taking care of myself. I focused on doing everything in my power to avoid stress, to avoid fear triggers, and to help my body relax. Until eventually the tension started to lift. Until eventually my body learned how to relax again. Until eventually I wouldn’t be experiencing anxiety every second of every day anymore. Until eventually there were a lot more relaxed moments than anxious moments. Until eventually there were a whole lot more relaxed moments than anxious moments. And only then was I physically and mentally strong enough to face my fears. A different way this time. More thoughtfully. More intentionally. And much more selectively. 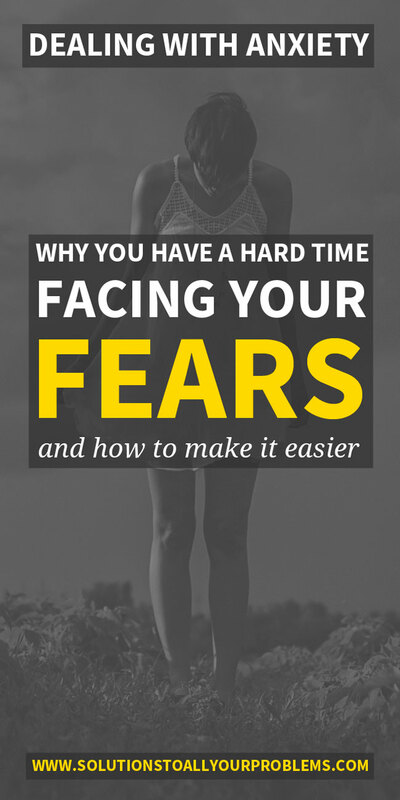 The second reason I was having a hard time facing my fears was that my fear facing efforts were misguided. I was facing the wrong fears. More specifically, I was facing the kind of fears that had no reward on the other side. I would put all this effort into facing a fear, enduring it, pushing through it, letting myself feel discomfort. Doing things anyway. And then nothing. I would get nothing out of it. Nothing good would happen. My life wouldn’t get any better. I wouldn’t feel any happier. I wouldn’t feel any more fulfilled. In other words, I wasn’t rewarded for my efforts. And the more I repeated this, the less motivated I would become. I mean, obviously. What’s the point? F*ck you, fear facing! It was only when I started facing fears from a place of physical and mental strength and with thoughtful intention, in service of a better life for myself, that fear facing became my friend. Facing my fear of driving in order to get myself to a job I hated. Reward: Another day at a job I hate. Facing my fear of conflict and criticism in order to deal with dissatisfied clients at work. Reward: Not losing the job I hate. Facing my fear of feeling awkward when meeting new people in order to go to a party. Reward: Headache. Facing my fear of disappointing people so that I’m able to say no to a party invitation. Reward: A relaxing evening at home recharging and reading a book. Facing my fear of disapproval so that I’m able to set boundaries. Reward: Less time spent on activities that drain me and more time spent on activities that energize me. Facing my fear of uncertainty and failure so that I’m able to leave a job I hate to become self-employed. Reward: Doing work I love. Facing my fear of rejection and criticism so that I’m able to publish my writing on the internet. Reward: Living my passion and purpose. Dear reader, if you are dealing with anxiety, my best advice for you is to first put your focus on taking care of yourself. And second, put your focus on figuring out what fears are holding you back from a better life. Then face those fears. P.S. Did you find this article helpful? If yes, you might be interested in the Conquer Your Anxiety eBook Bundle. 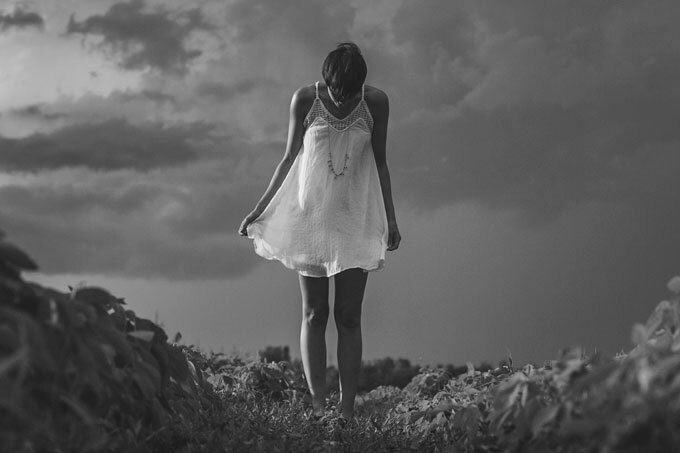 It’s a step-by-step guide I created to help you address potential physical causes of anxiety, create a stress-proof lifestyle, and learn to process fears and worries so that they never get out of control.